Dr. Shelton attended medical school at the University of Louisville in Kentucky. He, then, travelled to Boston, MA, where he became a resident and, then, Chief Resident at the Massachusetts Mental Health Center (now the Longwood Program), a teaching hospital of the Harvard Medical School. After residency, he was a research fellow at the National Institutes of Mental Health Intramural Program in Washington, D.C. before entering the faculty at Vanderbilt University in 1985. There he rose through the ranks to become the James G. Blakemore Research Professor and Vice Chair for Clinical Research in the Department of Psychiatry. He also became a professor in the Departments of Psychology and Pharmacology. 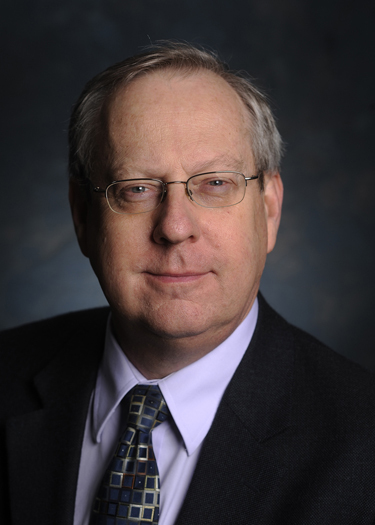 Dr. Shelton joined the faculty of the Department of Psychiatry and Behavioral Neurobiology at the University of Alabama at Birmingham in February, 2012 as the Charles Byron Ireland Professor, Vice Chair for Research, and head of a newly formed Mood Disorders Research Center. Clinical Interests: Depression and Bipolar Disorder Dr. Shelton’s clinical specialization is adult patients with mood disorders, including depression and bipolar disorder. Research Interests: Dr. Shelton’s research is on the causes and treatments of depression and bipolar disorder. He has a wide range of research activities, ranging from basic laboratory science to translational research linking lab to the clinic, to clinical investigations of new treatments for these common and serious conditions. The thrust of the program is experimental therapeutics – the search for new and better treatments. Metabolic stress-induced microRNA and mRNA expression profiles of human fibroblasts. Kálmán S, Garbett KA, Vereczkei A, Shelton RC, Korade Z, Mirnics K. Exp Cell Res. 2014 Jan 15;320(2):343-53. doi: 10.1016/j.yexcr.2013.10.019. Epub 2013 Nov 16. Clinical and Health Outcomes Initiative in Comparative Effectiveness for Bipolar Disorder (Bipolar CHOICE): A pragmatic trial of complex treatment for a complex disorder. Nierenberg AA, Sylvia LG, Leon AC, Reilly-Harrington NA, Shesler LW, McElroy SL, Friedman ES, Thase ME, Shelton RC, Bowden CL, Tohen M, Singh V, Deckersbach T, Ketter TA, Kocsis JH, McInnis MG, Schoenfeld D, Bobo WV, Calabrese JR; the Bipolar CHOICE Study Group.